Yes, you read it right – a vegetarian croc. If that’s not strange, what is? Well, it’s true. There exists such a creature, and that too, in my own backyard. Well, not in my ‘backyard’ backyard, but some kilometers away from where I live. It was just another regular day, when I stumbled upon an old newspaper article about a lake temple in Kumbla called Ananthapura lake temple. 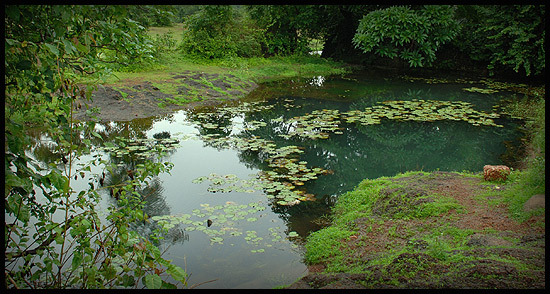 Legend has it that this is the place where Lord Ananthapadmanabha (Lord Maha Vishnu) had settled down originally. The article also talked about a vegetarian crocodile named ‘Babiya’ that guards a cave near that lake. I knew I had to see this to believe it. 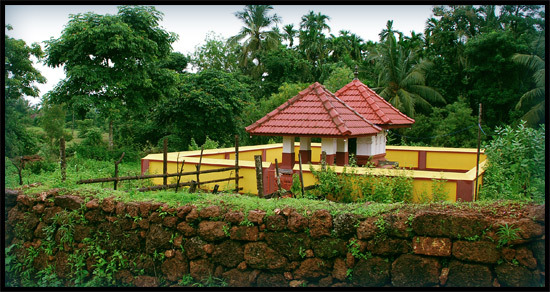 So that afternoon, I set off to Kumbla – a place 40 kilometers from Mangalore. Thanks to the rains, the temple and its surroundings were glowing in green. 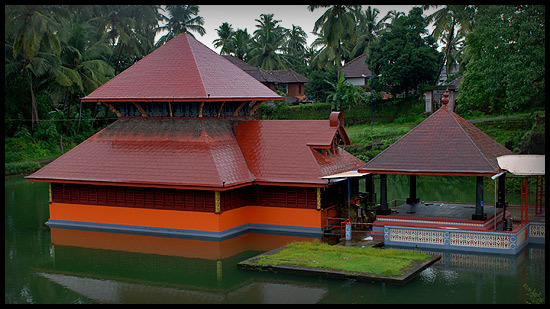 The temple itself was placed in the middle of a lake. 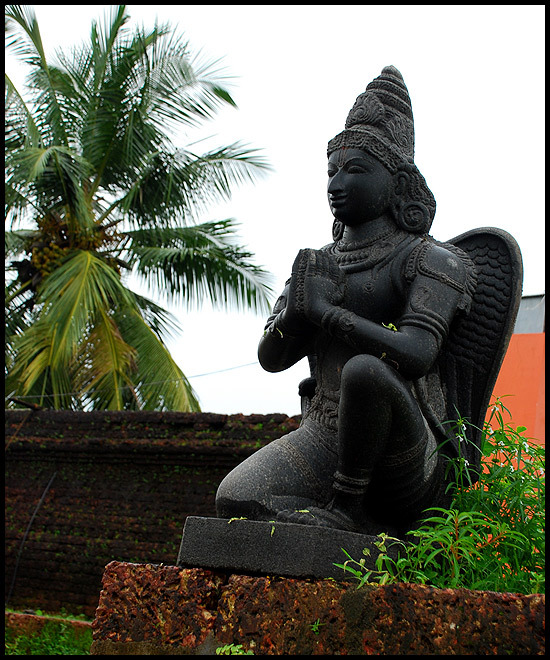 I was greeted by a pleasing, talkative poojari who told me all about the temple, and the mysterious crocodile. He told me that there always is one crocodile that guards the temple. Long back, there was one that was killed by the British soldiers. Another one mysteriously appeared soon after. Strange, eh? The croc, however, was now nowhere in sight. That’s when the poojari mentioned that the croc goes to another lake adjacent to the temple at times. Must be a moody croc, i thought to myself. Anyways, I decided I would try my luck at the adjacent lake. The second lake was small and the water, calm. I squinted my eyes and looked hard to the dark spots near the bank. That’s when I spotted two glowing eyes, staring intently at me. It was indeed Babiya, the croc! To read about it was something, but to see it in person was another. Assured by my knowledge that it was a vegetarian, I went near the croc to get a closer look. 15 minutes of eye-to-eye with the croc, and I decided it was time to go. Now, whether it was indeed a vegetarian or not, I couldn’t confirm. The only way to test that would’ve been to get closer and offer a shake of hands, and I did not want to take that risk. After all, I had to drive my way back and it would’ve been difficult to drive ‘single-handedly’. Here are a few pictures of the temple and the adjacent lake where I found the croc.